Great gift for the fishing enthusiasts amongst friends and family! 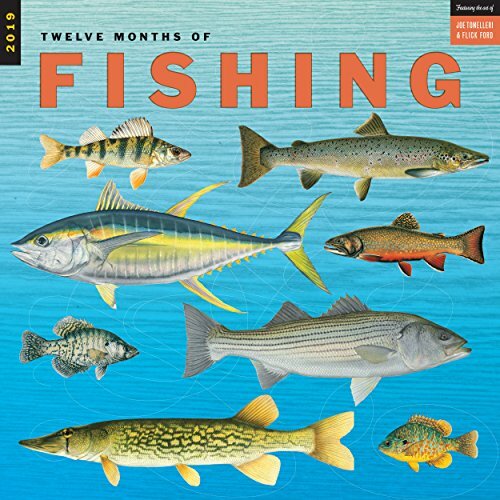 Easy to read grids on 12" x 12" pages All Lure of Fishing artwork printed on high quality paper with full color Observes major holidays and moon phases 12 full month pages with 4 bonus months on one page with punch hole for hanging The Lure of Fishing calendar offers up some of the world's most beautiful and pristine fishing spots for you to cast your eyes upon. 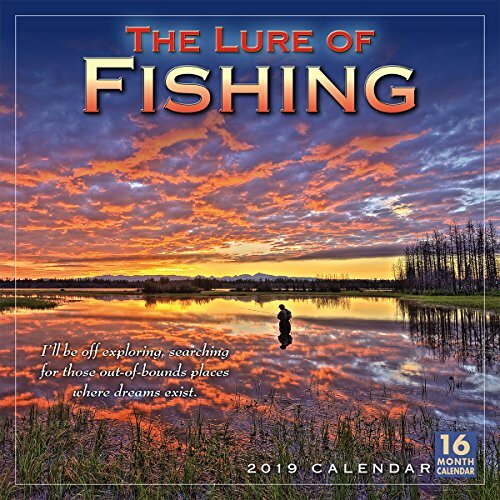 This calendar features photographs that capture the joys of fishing, accompanied by quotes from notable fish-a-holics. It makes a great gift, and all the fishermen in your life will be angling for one! 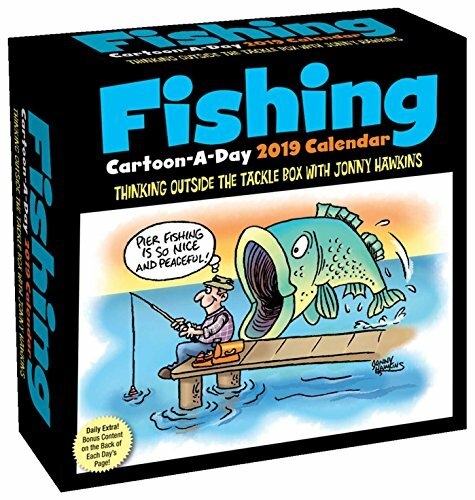 Twelve Months of Fishing Wall Calendar 2019 Monthly January-December 12" x 12"
The Fishing Cartoon-A-Day 2019 Calendar nets chuckles and grins with a year’s worth of zany fishing funnies courtesy of a daily weigh-in with humorist Jonny Hawkins.Outrageous baits, ridiculous secrets for landing lunkers, and outlandish recounts of trophy catches will keep anglers afloat while waiting for the next “reel” fishing adventure.As an added bonus, the back of each page includes Daily Extra content such as puzzles, jokes, lists, quotes, activities, tips, and trivia. There's nothing like the sight of a big bass smashing your lure and dancing across the surface of the water! 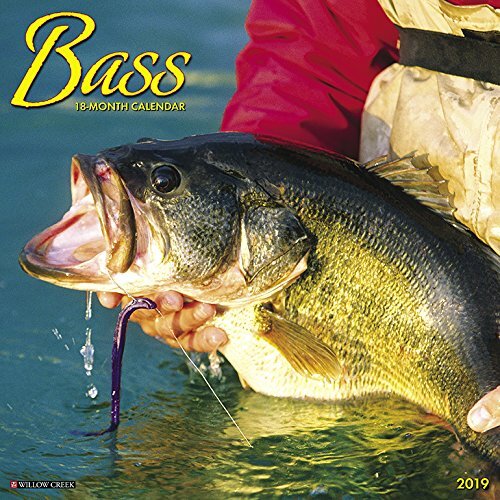 Here come twelve months worth of full color photographs featuring bass and bass anglers in action. The large format wall calendar includes large "see from across the room" daily grids with ample space for recording appointments, birthdays, reminders and, of course, noting the date of your next fishing trip. 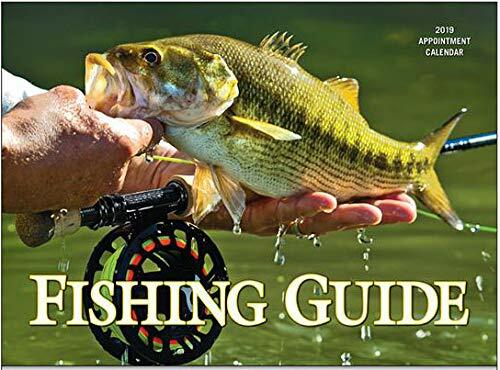 Great gift for the fishing enthusiasts amongst friends and family! Easy to read grids on 12" x 12" pages All Gone Fishing artwork printed on high quality paper with full color Observes major holidays and moon phases 12 full month pages with 4 bonus months on one page with punch hole for hanging With his usual flair for exposing the foibles of fanatics, renowned artist Gary Patterson presents a humorous look at a beloved American pastime. Gone Fishing is a comical tongue-in-cheek depiction of those who think the worst day fishing beats the best day anywhere else. All the fishermen in your life will be hooked on this classic. 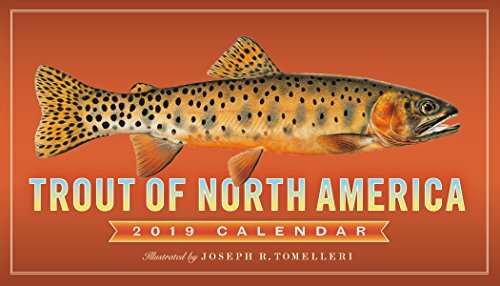 TROUT OF NORTH AMERICA showcases the arresting and astonishingly lifelike fish illustrations of nature artist Joseph R. Tomelleri. There’s a fish to admire every month, like the fascinating Kokanee Salmon, who turns flaming red (and develops a humpback!) during spawning time, or the Arctic Grayling, recognizable for its polka-dotted fins and shimmering scales. Plus, a brief natural history, detailed range map, and hatch chart of each trout. Packaged in a die-cut gift sleeve that doubles as a mailer, it makes an ideal gift for any fly angler. With his usual flair for exposing the foibles of fanatics, renowned artist Gary Patterson presents a humorous look at a beloved American pastime. 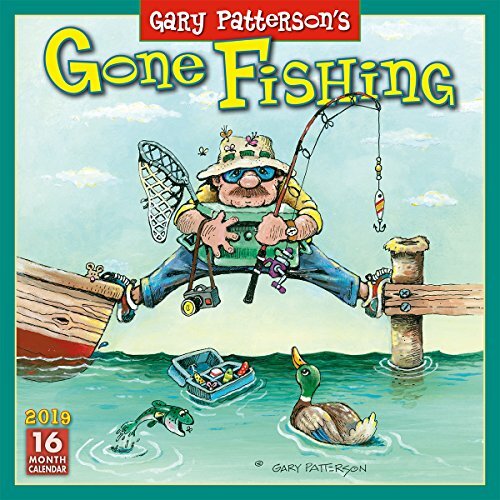 Gone Fishing is a comical tongue-in-cheek depiction of those who think the worst day fishing beats the best day anywhere else. All the fishermen in your life will be angling for this one. 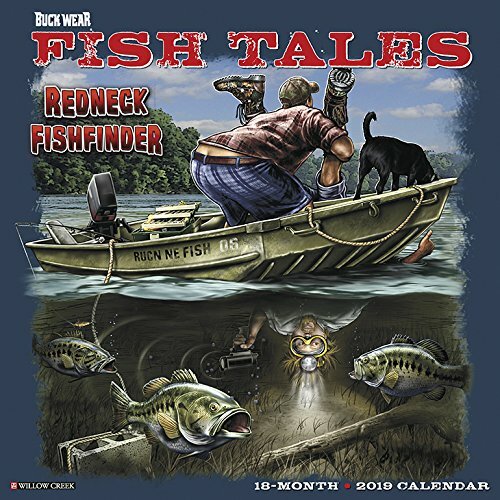 High end artwork meets low end angling antics in this hilarious calendar from the uber-talented creators at Buck Wear. 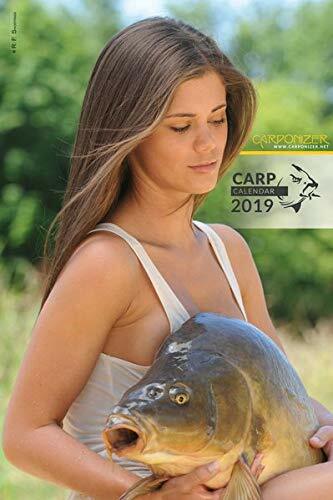 Bass and beer dominate the theme in this hilarious twelve month romp through the world of fishing. The large format wall calendar features daily grids with ample room for jotting appointments, birthdays and personal reminders. Also includes six bonus months of July through December 2018; moon phases and U.S. and international holidays. Versatile 2019 wall hanging appointment calendar - Cool Calendars are the perfect tool for managing your day to day schedules, events, and activities. Full size calendar pages go from December 2018 through December 2019, with ample room for noting events, appointments, holidays, etc. Includes all 2018 US National Holidays. Back page has area for important phone numbers and also includes mini calendars for 2017, 2018, and 2019. Back page extends to provide a note section seen all year long for important information. Includes hanging hole.Beautiful Imagery - Cool Calendars are full color and digitally printed right in the USA using state of the art machinery, meaning you'll get great quality images each month of the calendar.Make Great Gifts For Birthdays, Christmas, or any occasion!